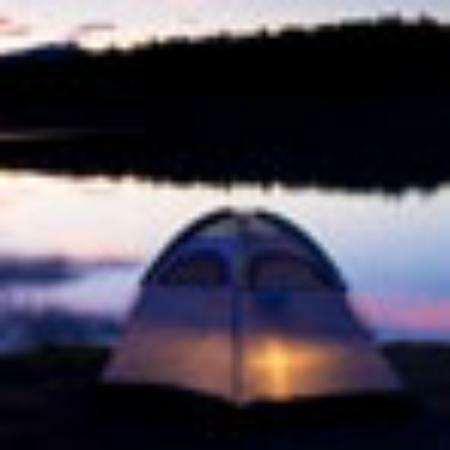 Minimum 1 day(s) | Recommended 2 day(s)Sale! Connect the Pacific Coast with the capital, with some great stops along the way. 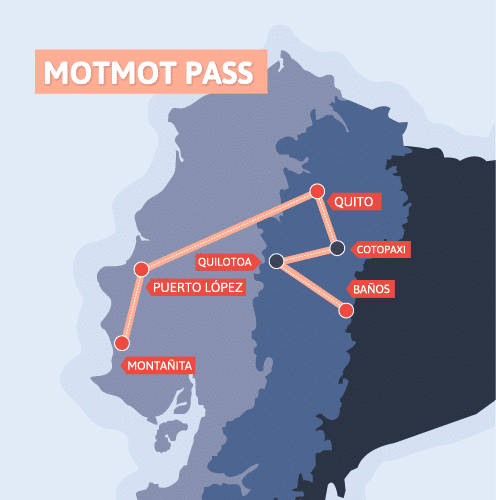 The easiest and safest way to connect the Pacific Coast with Quito, you can use this pass to explore Machalilla National Park and Puerto López (for whale-watching, in season) and then climb the Andes up to Quito. Explore the wild beaches of Machalilla National Park and learn about coastal culture and cuisine around Puerto López. Point 1: Main road, at Selina hostal 6:50 am. Point 2: “Surfista” car park towards La Punta 7:00 am. 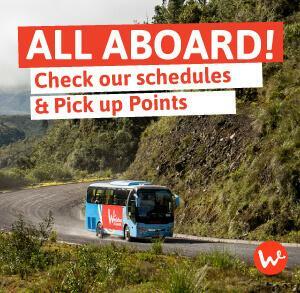 06:50-07:00 Depart from Montañita from your selected pick-up point. 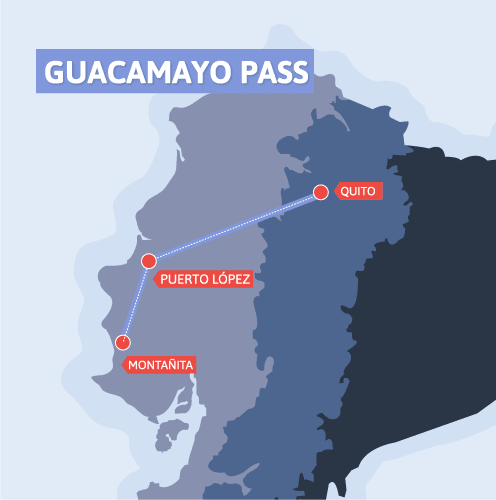 18:30-19:00 Arrive in Quito and be dropped off at one of our points. If you want to go whale-watching from Puerto López, add two days to your itinerary. If you want to do our Quito free walking tour register here and add two days.